The "Oasis of the Seas" cut its journey short after 475 passengers and crew members have been infected with a norovirus to have more time to completely clean and sanitize the ship before her next sailing. They began getting sick when the ship departed the Port Canaveral in Florida on Jan. 6. The ship, originally scheduled for a seven night cruise, made its first stop in Haiti on Jan 8 where the ship hosted a lunch buffet on land. That night passengers began experiencing symptoms associated with food poisoning, like vomiting. The next day, the ship arrived to Jamaica, but passengers said they weren't allowed to leave the vessel. In the morning of Jan 8, the ship headed for its next scheduled destination in Cozumel, Mexico, but officials canceled the cruise while it was still en route. Now it was on its way back to Florida. It is not yet known what caused the outbreak. 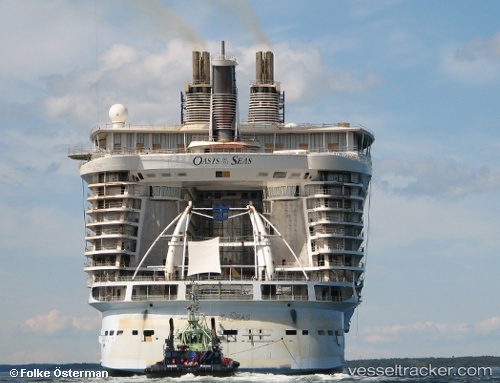 All of the current Oasis of the Seas passengers will receive a full refund. The ship was scheduled to return to Florida on Jan 12.